A lock that appears to be the typical deadbolt at first, but when it lights up, it’s too good looking to be a smart lock. 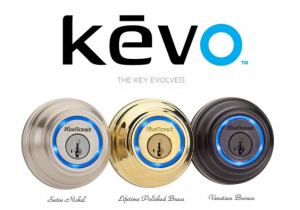 Boasting as the evolution of the key, the Kevo is one extraordinary device with the many features it has been built with, yet presents homeowners with a lock that’s pretty simple to use. Perhaps the best technological innovation today is the ability of a smart lock to keep up with your lifestyle, and what have you got with you wherever you go? Your handy smartphone. The Kwikset 925 lets you use your handheld device as key itself, eliminating the need for a conventional key and fumbling to find where they’re at right before entering your own home. The touch to open technology does wonders among all locking techniques. Imagine opening the lock with the slightest touch of your finger, as long as you have your phone nearby. What if your phone’s battery runs out? No worries, for you’ll never be locked out. The keychain fob ensures you won’t be stranded in any case. Homeowners can utilize the mobile app, available on Apple iOs and Android, to setup features and customize settings as they wish. The app is primarily used for initial setup, as well as sending, disabling and deleting e-keys, and viewing the history of lock activities. The lock comes with two keys, and lets you add more digital keys to give to family, friends, and guests when you are granting them access. The e-keys have multiple levels of encryption, and it won’t be easy to break the codes. The visual notification functions to light up the lock blue to alert you of instances such as a lock miss or when the door is not yet locked. The Kwikset Kevo lock is excellent in terms of design, seamless controls, convenience, and backed up by the best customer and technical support. Pick resistant and bump-proof, it’s the best when it comes to keeping your home secure. Safety is paramount with this smart lock that’s the ultimate in touchscreen security, being more physically secure than a deadbolt. 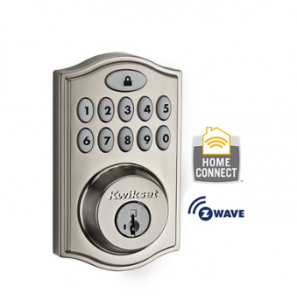 The Kwikset Smartcode lock works best to complement a home automation system with the built-in ZigBee and Z-Wave features. The ultra responsive Advanced Touchscreen allows for instant display of an elegant cool white LED illuminated screen, for you to then enter your code easily in the dark or under the daylight. It is quickly activated with your fingertips or by using the back of your hand. During the unlock process, you’ll have to touch two random prior to inputting your key code. The idea is to scatter fingerprints all over the keypad to prevent fingerprint and code detection, so a stranger can’t tell which digits actually comprise your real keycode. Moreover, the SmartCode 916 has a built-in alarm that goes off, then disables the keypad whenever the wrong code is entered too many times. Locking your door can be achieved with just a single touch, without the need for a key or code to lock it securely. Installation is quite easily done as well without any hard wiring required, but merely a screwdriver which lets you set it on your door in minutes. The slim interior or exterior profile and transitional design looks great as an enhancement. Just in case, you’ll always have a backup with the Kwikset SmartKey Technology, which saves you money in the long run by giving you the power to re-key your lock yourself as necessary. When it comes to choosing the best home security device, people want a lock that gives them all the best features for the price. The Best Kwikset Locks On The Market are definitely worth it, providing both superior security and design imbued with the standards of high quality. 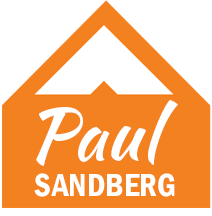 It creates the safe home you and your family deserves. But if you are ever in need of some lock repairing or replacement, call your local locksmith as they are well equipped to handle all your Kwikset needs.